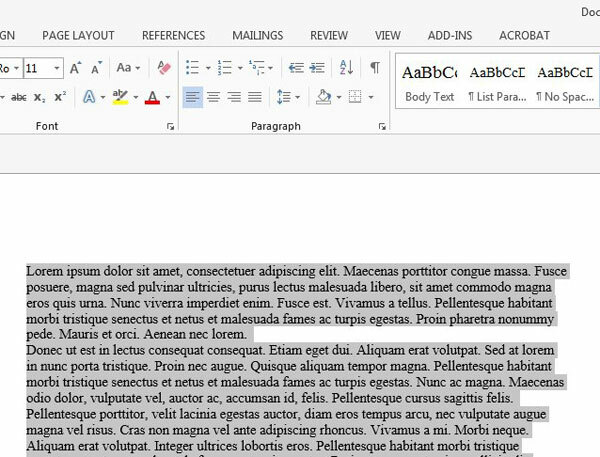 Hiding text in a Microsoft Word 2013 document is a good solution when you are not certain that you want to include the text in your document, but want to have it available in case you need it. 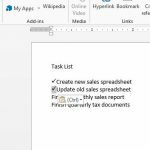 So you may be wondering how you can unhide your hidden text if you have decided that you now want to include it in the final document. Unhiding text in Word 2013 is very similar to the method that was originally used to hide it. 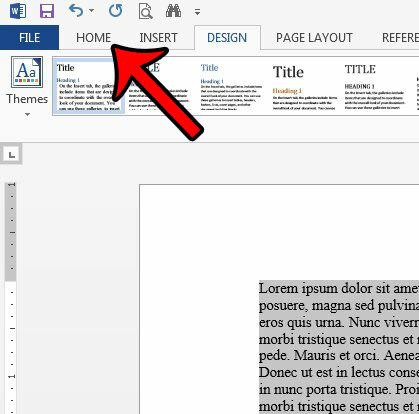 Our guide below will show you the formatting option that you need to adjust to display text that was previously hidden in a document. The steps below will assume that your current document has some hidden text, and that you no longer wish for it to be hidden. If the steps below do not display text that you know to be hidden, then the document may be password protected. Find out more about password protecting documents in Word 2013 to learn how to remove the protection. 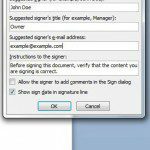 Open the document with hidden text in Word 2013. Press Ctrl + A on your keyboard to select the entire document. If you only wish to unhide text in a certain location in the document, then select the text before and after that location. Click the Font Options button at the bottom-right corner of the Font section in the navigational ribbon. Click the checkbox to the left of Hidden to remove the checkmark. 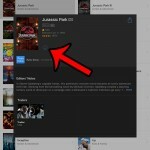 If there is a blue square in that box, then you may need to click it twice to remove the checkmark. Once the checkmark is gone, click the OK button at the bottom of the window. Alternatively, if you would like to hide text, the method for doing so is very similar to the steps that you just performed to unhide it. 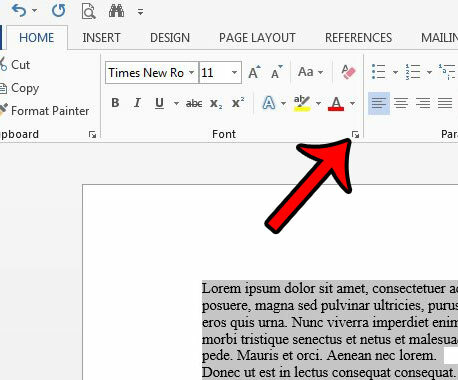 Learn about formatting hidden text in Word 2013 to keep it in the document, but remove it from view. Would you like to print your hidden text without displaying it on the screen? 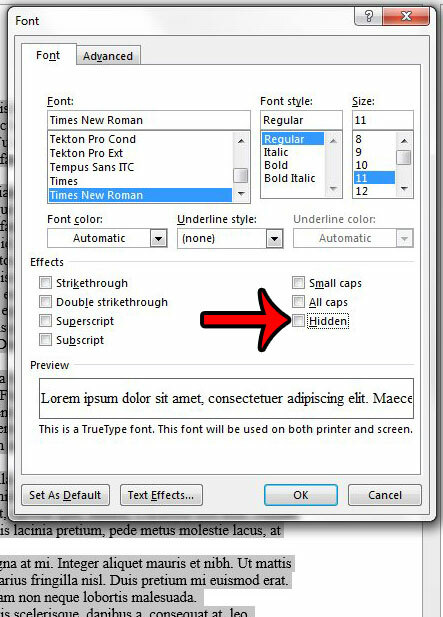 You can print hidden text in Word 2013 by changing a setting on the Word Options menu.